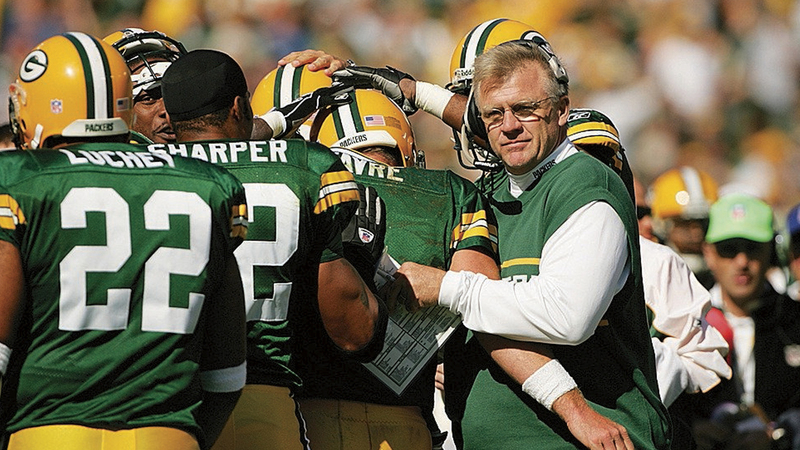 Mike Sherman was coach and GM of the Packers in the Brett Favre years, ran Texas A&M and has been offensive coordinator for three NFL teams. This season he’s coaching a high school in Cape Cod that nearly dropped football a few years back. What’s he doing so far from the spotlight? EASTHAM, Mass. — Three weeks after Cape Cod’s summer population dwindles, the Sagamore bridge is traffic-free. Closed-up clam shacks dot Route 6, and scrub pines whistle in the early autumn breeze. Those who remain on the Cape lug folding chairs each night to watch the sun sink into the horizon over the bay. At the ocean, seals surface on the deserted coastline. Here, where pastel dunes meet the Atlantic—an inspiration for Edward Hopper and for countless postcards—is the Cape in its natural state. Most mornings, this is where you will find Mike Sherman. He will sit near the water’s edge and gaze out at the sea. He savors the quiet, something he has not experienced in a football fall for nearly four decades. He thinks. Sherman is not ready to retire, but not willing to expose wounds. Last year he traveled for freelance gigs: collaborating with league suits about rules changes, speaking at the NFL’s officiating conference in Dallas, consulting with coaches at college campuses. It wasn’t coaching, so it didn’t feel right. His wife, Karen, had relocated with him a dozen times for football, raising five children along the way. So after a year in transition, Sherman, a Massachusetts native, and his family committed to stability, building a house in West Dennis, along the south shore of Cape Cod. 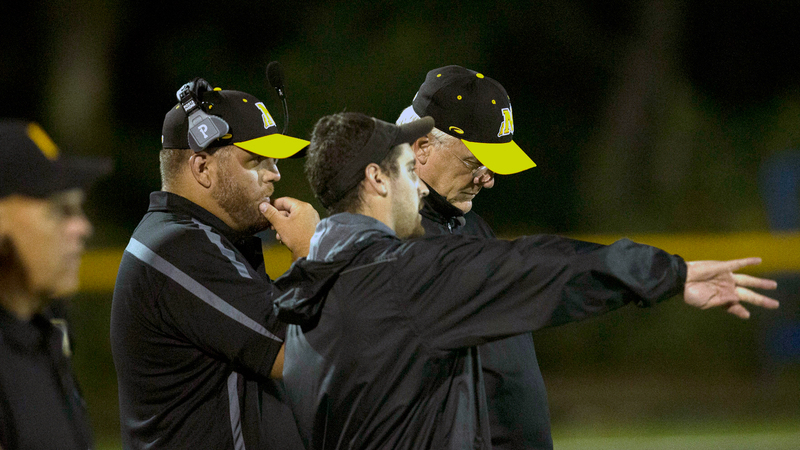 Then last May Sherman committed again: He was hired as head coach of the local high school football team, the Nauset Warriors. Why, after coaching the likes of Brett Favre and Ryan Tannehill and running a major college program, would Sherman choose to take over at an out-of-the-way high school with a struggling football team, teaching fundamentals to scrawny 17-year-olds? It’s tempting to fit his journey into a neat and time-tested storyline—big-time coach returns to his roots to save local community—but that’s not exactly true. It’s also easy, but fallacious, to take a cynic’s stance: He had nothing better to do. Nauset is a regional district pulling from six towns along the Cape. The high school has 1,000 students and is best known for performing arts; the hallways are crowded with chorus and jazz ensemble trophies, and recent alumna Meghan Trainor (Class of 2012) owned radio airwaves in the summer of 2014 with the ubiquitous “All About That Bass.” The school has produced an NFL player—Mike DeVito is a ninth-year defensive end, now with the Chiefs—but he is the exception. The gymnasium is decked with banners for the soccer, gymnastics, baseball, softball, sailing, rowing, cross country, field hockey, lacrosse, tennis, volleyball and swimming teams. There are none for football. Five years ago the district tried to cut the program for budget reasons. In May he decided he was. The announcement rippled through the Cape and beyond. A dad in Texas sent tape of his eighth-grade son, implying that the family would move if Sherman saw potential. Sherman has tried to maintain a modest profile. He is paid $6,157, the same as any other coach at the school. He also wanted to teach English, but Massachusetts has a rigorous certification program, “and I didn’t feel like taking all of those tests,” he says. He has met with local Pop Warner coaches to begin building from the bottom. Over the summer Sherman required every high school player to sign a contract listing the new coach’s expectations. Be on time. Be respectful in your community. Try your hardest. 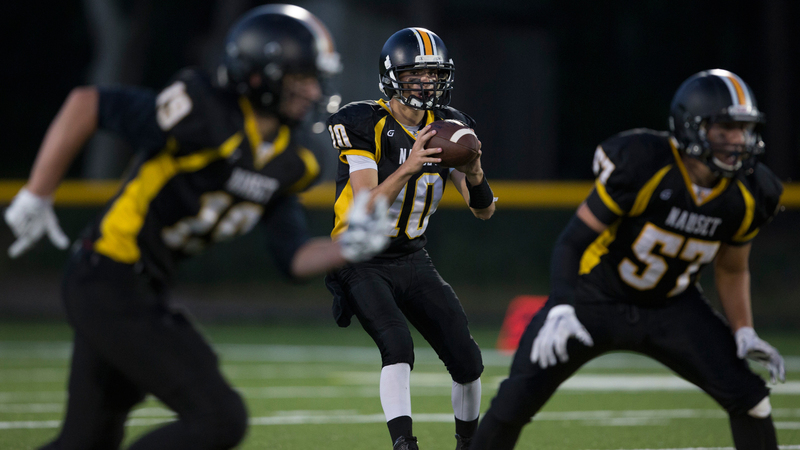 “I’ve never had a coach who intimidates me but makes me want to play for him,” says quarterback Travis Van Vleck. Sherman made a pact with parents that he would never allow practices to spill into dinner or homework time. 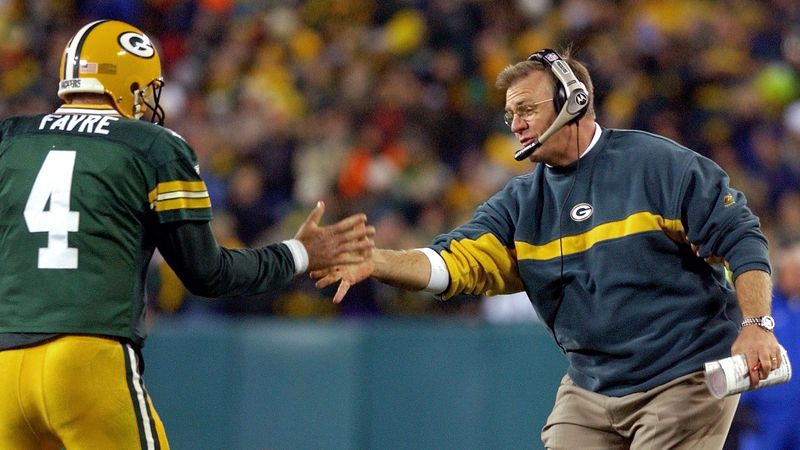 When Lambeau Field underwent a facelift in the early 2000s, Sherman was heavily involved. He told contractors he wanted the locker room to be shaped like a football, the ceiling beams constructed like laces. 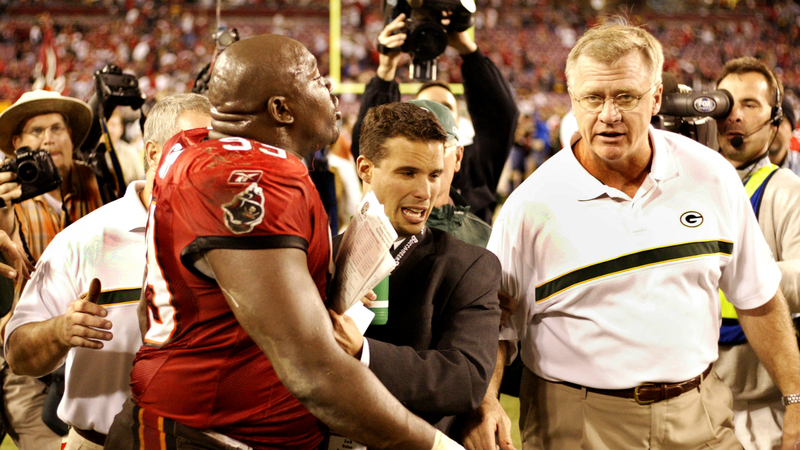 When the tunnel was relocated, Sherman asked that some of the old cement be moved as well so that Packers players, when entering the field, would still step on the ground that Bart Starr, Ray Nitschke and Reggie White walked. Sherman asked that a piece of Vince Lombardi’s original office door be placed in the head coach’s new office. This suggests Sherman is a traditionalist, and with the Packers he had had plenty of tradition to lean on. At Nauset he starts from scratch. That’s tricky in a community where football is not a priority, where surfboards sit atop a handful of cars in the student parking lot. So few players tried out for football in 2015 that the team needed to pluck athletes from soccer and baseball. “Let’s just say it took some convincing,” says athletic director/baseball coach John Mattson. Many of the players, Sherman found, didn’t grow up watching football. One starting defensive linemen had never put on pads before this fall. The coach was amazed when a player asked what a flea flicker was, and another had never heard the football term “isolation” before. Van Vleck, the starting quarterback, plays every down as safety as well. Sherman inherited a team that ran the single-wing offense last season. He has yet to really install an offensive philosophy, because he needs to focus on the basics. And he has very little time to do it. School lets out at 3. After a 30-minute lift and 30-minute walk-through, Sherman is pressed. The coach in him wants to say, “Stay here until we get it done,” but being a parent of five, he doesn’t want to be that guy. The Warriors began the season 0-2 and were outscored 86-12. 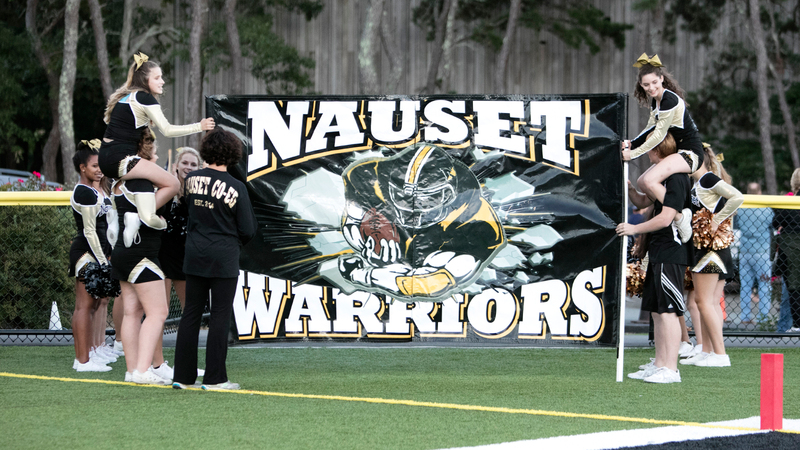 The opponents came from out of district (and a bit out of class), but last Friday night Nauset had a chance against league rival Sandwich. It was homecoming, and the stands were packed with nearly 500 fans. The student section was raucous, the band lively and the fence lined with dads perching their young sons on their shoulders. There were lines for $4 hamburgers and clam chowder and for $3 raffle tickets to win a Malcolm Butler-signed football. The start was promising. Van Vleck led a methodical first drive that blended the run game and a variety of short and long passes—no more single-wing here—and the home team took a 7-0 lead on a seven-yard run by running back Akeem Atkinson. The crowd roared and assistant coaches on the sideline pumped fists, but Sherman—the only man in sight wearing a white collared shirt under a black sweater—barely celebrated. The problem, he knew, would be to sustain that level. Indeed, things unraveled after the first series. 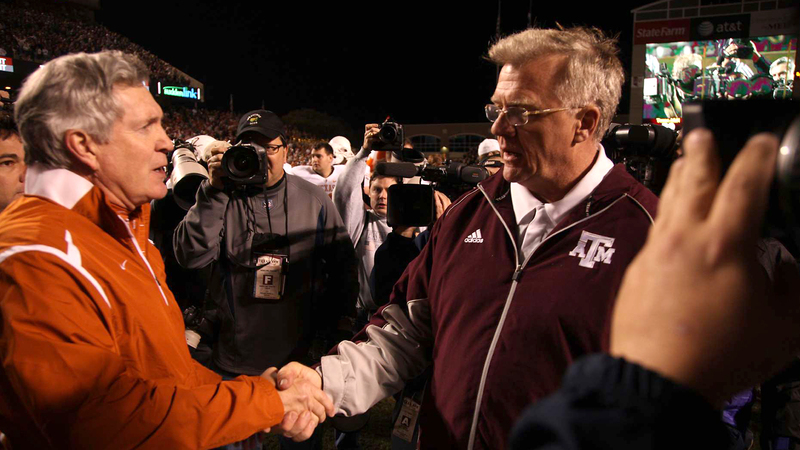 Sherman has screened tape of the Dolphins and Texas A&M for his players, to demonstrate the kind of fast-paced offense he’d like to run, but this night he was having trouble conveying signals from the sideline. An assistant held up a white board with messages in blue marker, but Van Vleck couldn’t read the writing, so by the middle of the first quarter he was running to the sideline between every play to get the call. Sandwich scored 20 unanswered points to end the half. Van Vleck has just a hint of the elusiveness of Johnny Manziel (a player Sherman had recruited at A&M), and Sherman had designed plays to highlight that mobility. The Warriors gradually climbed back into the game, and in the final two minutes, trailing 27-20, they had a chance to tie or win. A series of short screens brought them inside the 40 with less than a minute left before Nauset turned it over on downs. The crowd, which had remained until the final whistle, gave the Warriors a standing ovation for the losing effort. He has compartmentalized other memories: the losses, the contract negotiations, the firings. Now, freed of such pressures for the first time in 33 years, Sherman is weighing whether the thrill of that night at the Metrodome is worth pursuing anymore. Does he need it? Sherman admits his current stint is as much about soul-searching as it is staying busy. He might not be done with the NFL just yet. “If the right opportunity presents itself,” he says, “and if it’s OK with my family.” Then again, he just doesn’t know yet. He needs time to keep breathing. It’s clear the losing eats at Sherman. He wants to see these young players succeed, but he knows progress is gradual, and patience is hard concept to master for a man who’s spent his entire adult life on the hamster wheel. Driving to the school every day, he is reminded of something his wife said to him when he accepted the job. Maybe, Karen suggested, he’ll change one or two kids’ lives, and that will mean it’s worth the pain of losing. How do you know, she asked, that this isn’t the ultimate plan for your life, that every job you’ve held before has been preparing you for this? Whether Sherman finds such clarity remains to be seen. The shoreline erodes and evolves with time, but the waves are constant. Every time they crash, they’re sucked right back into the sea. Questions or comments? Email us at talkback@themmqb.com.